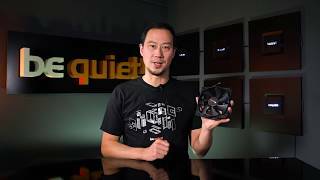 SILENT WINGS 3 | 140mm PWM high-speed silent high-end Fans from be quiet! be quiet! 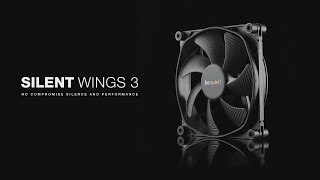 Silent Wings 3 140mm PWM high-speed stands for state-of-the-art technology and virtually inaudible operation. The extremely high air pressure produced makes it a perfect choice for powerful water- and air-cooled systems. 6-pole fan motor with three phases for very low power consumption, less vibration and therefore quiet operation of max. 28.1dB(A). The rubberized fan frame is equipped with funnel-shaped air inlets for excellent air circulation and extremely high air pressure, which makes the fan especially suitable for use in powerful water-cooling and air-cooling set ups.